Groups on tour between Lexington and Louisville can learn about the distilling process as they follow the Kentucky Bourbon Trail. Six distilleries officially on the trail, plus others, are within an hour’s drive of one another. Most offer tours and tastings. 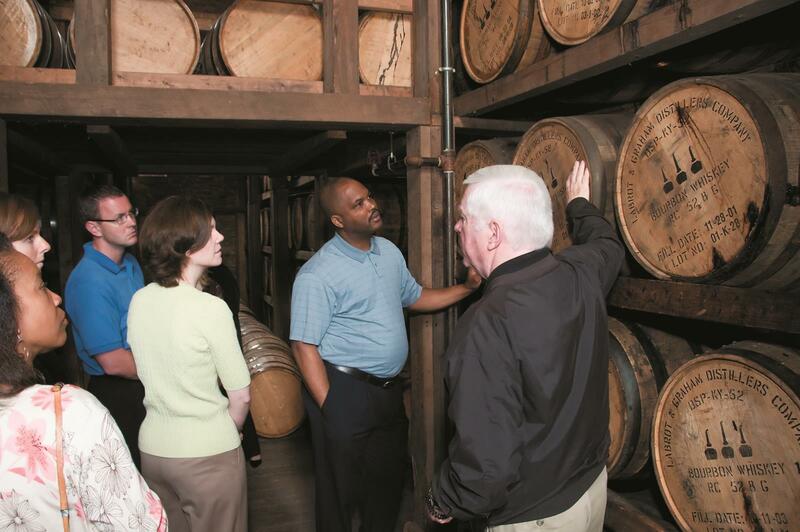 Popular stops include such distilleries as Jim Beam, Maker’s Mark, Heaven Hill, Four Roses and Wild Turkey. Woodford Reserve Distillery in Versailles, Ky., offers tours that explain the bourbon-making process. The Bluegrass State is the birthplace and largest producer of bourbon, providing 95 percent of the world’s supply. Groups can learn about the product at the Oscar Getz Museum of Whiskey History in Bardstown. Complementing the Kentucky Bourbon Trail is Louisville’s Urban Bourbon Trail, a seven-bar trek where a resident connoisseur is always on hand to assist in a tasting.